Location: The Republic of Yemen is located in the south of the Arabian Peninsula in the south-west of Asia. It is bordered to the north by Saudi Arabia, to the south by the Arabian Sea and the Gulf of Aden, to the east by Oman and from the west by the Red Sea. Official name: Republic of Yemen. The city of Sana’a: The capital of the Republic of Yemen The administrative division of the Republic of Yemen contains 20 governorates in addition to the capital’s secretariat. National flag: rectangular, width two-thirds of its length. It consists of three rectangles of equal length with flag length, the highest red, the middle is white, and the third is black. • White: symbolizes the principles and purity of the revolution. • Black: symbolizes the era of darkness and reactionary judgment. National currency: (1, 2, 3, 4, 5) Real exchange rate (214.91) for the month of December 2012)). Local time: +3 hours GMT on all days of the year. Electricity: 220 V / 250 Hz. • Goa: (Sana’a International Airport – Aden International Airport – Taiz International Airport – Hodeidah International Airport – Mukalla International Airport – Sayoun International Airport). • By land: (Haradh port – outlet outlet – Albin port – freight outlet – Sarfit outlet – deposit outlet). • Port: – Port of Aden – Port of Mukha – Port of Hodeidah – Port of Mukalla – Port of Activists – Port of Qeshn Sihout – Port of Daba – Port of Bir Ali – Port Balhaf – Port Rezum – Khubba – Port of Beard – Midi Port). The system of government in the Republic of Yemen is republican and democratic. The people are the owner and source of authority. They are directly exercised through referenda and general elections. They are also indirectly exercised by the legislative, executive and judicial bodies, and through the elected local councils. The political system in the Republic of Yemen is based on political and partisan pluralism , And power is traded and participated peacefully through general elections. 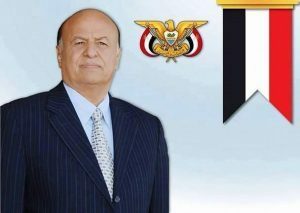 President of the Republic: The President of the Republic of Yemen is the Head of State. He is elected directly by the people in a competitive election involving a number of candidates. The president is required to win a majority of the votes. The presidential term is seven years from the date of his swearing-in. The post of President of the Republic may not be taken by one person more than two presidential sessions. 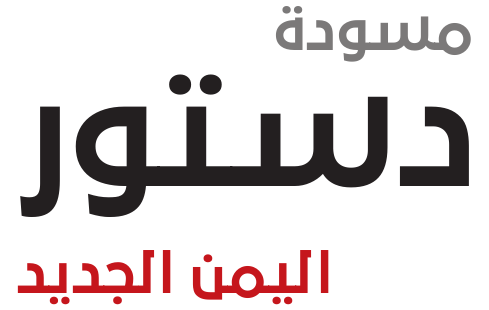 Local authority: Local authority represents a form of practice in governance in Yemen. This process is achieved through constitutional and legal rules and regulations, which are based on the principle of administrative and financial decentralization and expansion of opportunities for participation in policy making, planning, programs, decision-making and community participation in decision- As well as supervising and overseeing the functioning of the executive bodies in the various governorates and districts. The Republic of Yemen administers administratively within the framework of the local authority system to 21 governorates, including the capital secretariat, The total number of cities is 225, of which 195 are centers of directorates and 30 are secondary cities, and they have a total number of towns and villages. Yemen has more than 216 islands on the Red Sea, the Arabian Sea and the Gulf of Aden. The number of local councils is 349 and the number of local constituencies (5620) is local (electoral center). The population of the Republic of Yemen according to the final results of the general census of population, housing and establishments for the year 2004 (19,685,161) people and the population of the Republic of Yemen to (23,832,569) estimates 2011. The population grows annually by 3% and the male population represents 50.91% of the total population. The female population represents 49.09% of the total population. • Infant mortality rate (68.29) per 1,000 births for the period 2010-2015. • Crude mortality rate of 8.10 per thousand births for the year 2010-2015. • The crude birth rate is 35.90 per thousand births for the year 2010-2015. Life expectancy at birth is 63 years for the period 2010-2015. • The average number of individuals per family is 7.2, and the average number of individuals per household is 7.1. Coastal coastal plain: It runs sporadically along the coast of Yemen, where the mountains and plateaus directly reach the sea in more than one place. Therefore, the coastal plain of Yemen includes the following plains: (Tihama plain – Tabn – Abyan plain – East coast and located within the province of Al-Mahra). The coastal plain is characterized by a hot climate throughout the year, with a few rains of between 50-100 mm per year, but it is considered an important agricultural region, especially the Tihama plain, due to the large number of wadis that penetrate this region and precipitates precipitation caused by rainfall on the mountain heights. The region of the mountainous highlands: This region extends from the maximum borders of Yemen to the north and to the far south. This region has been exposed to tectonic movements resulting in major and secondary fractures, some of which are parallel to the Red Sea and others parallel to the Gulf of Aden, resulting in precipitous plateaus that included mountain bodies.